If you made buffalo chicken dip for Thanksgiving, like me, and you had already been to the store 17 times, like me, you probably did not want to go to the store for an 18th time for ranch seasoning mix. Yes? In case you didn’t find yourself in those shoes, let me tell you that I did not want to go to the store again. I do love the grocery store but on the eve of Thanksgiving, not so much. What I do love is when I can pull a few spices from my spice cabinet, stir them together and create a very similarly tasting combination of flavors.I have made a few of my own spice mixtures before (like pumpkin pie spice and taco/chili seasoning) and I love the idea of having these on hand all the time. I love that I don’t have to worry about preservatives and mostly I love them because they are cheap, cheap, cheap. They store easily and I’ve never been able to tell a difference. Yes, you are right, I don’t even like ranch dressing. But, I do like the flavors in many soups and dips and this homemade ranch seasoning mix is perfect to have on hand. 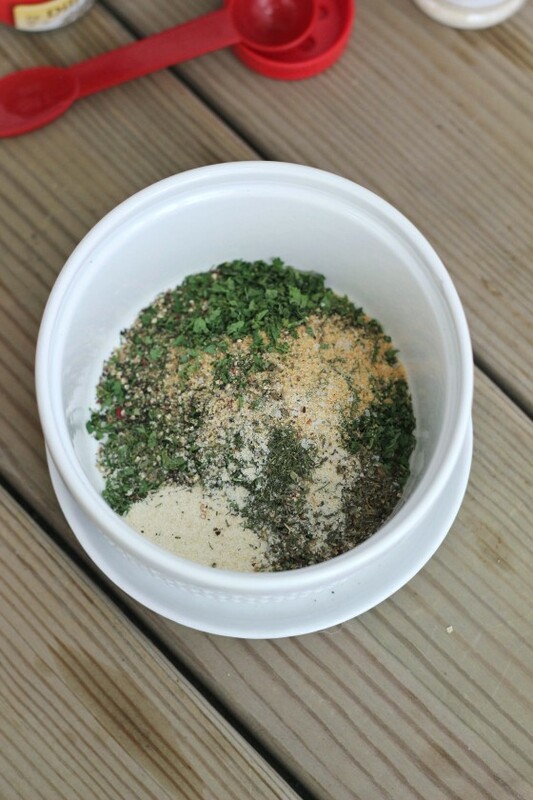 A simple recipe for homemade ranch seasoning mix, perfect for recipes, or for homemade ranch dressing. Mix all together and store in an airtight container for up to 2 months. One recipe of this seasoning mix equals about two packets of store-bought seasoning mix. Such a good idea to make this at homemade! I always feel ripped off when I buy it in the store. I am SO glad you posted this! We use ranch powder like it is going out of style (in chicken finger batter, for potato chips, in mashed potatoes). But I hate buying it… So I’m super excited about this recipe! I need this recipe!! I’m like that too, always out of ranch when I need it. Would so much rather have this around than the pre packaged stuff. I love this, Cassie!! What a great idea!! Girl I love ranch. I could eat ranch on everything 🙂 Love the homemade mix idea. But really, I love all dips and spreads and condiments in abundance! I love homemade ranch. It is so much better than the bottled. Plus, you can add it to other things, not just to make salad dressing. Yum. Ah, ha! I wondered what was in those magical packets. Love this added to spinach dips. Thanks for unlocking the secret ingredients for us. I LOVE LOVE LOVE homemade versions of storebought things like this. Awesome! This is an awesome idea, Cassie! I’ve never really liked bottled ranch, but I’m so in for making my own! What a great idea! Now I don’t need to make those last minute trips to the store! Wow, this would save us alot of money, love it! such a great idea for a dressing. cheap, no preservatives and could customize with yogurt. absolutely love it! Such a great idea, I love this blend of spices! I dont like ranch dressing either.. but sometimes its completely necessary. I love just having the seasoning blend..thank you! This is genius my friend! I love when I can make my own!!! I have the most giant jar of dried parsley and I’ve been wondering how to use it up. If I make lots and lots of ranch dip mix I may make a dent in it. P.S. This makes a great gift too! Love this take on ranch mix! Recipes with ingredients I can pronounce and replace processed versions are my absolute FAVORITE! This is a great recipe to keep on hand. Plus, I love the idea of mixing this with Greek yogurt to make a healthier ranch dressing! Such a great combination of herbs and flavours, I can imagine sing this all the time in the kitchen! Love this combination! I need to make a batch of this to keep on hand! I will be doing this asap! Thanks for the inspiration! This is something that has been on my list to make – I’m definitely going to be using your recipe!! I have several recipes that use the packaged stuff, but this is so much easier since I have all the spices! I prefer the homemade route any day! Yay!! I’m so glad to hear that! 🙂 C.
Thanks so so much for sharing this! 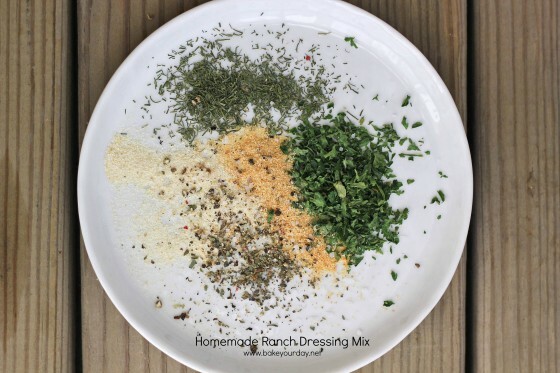 I’ve been wanting a DIY ranch dressing mix for a while, and finally got around to making this today. I doubled the recipe so I’d have some extra on hand. I also reposted on my blog the recipe, linking back to your post. Thanks for sharing! Sorry This is not ranch dressing. It tasted nothing like ranch dressing. Threw it out after I made it. 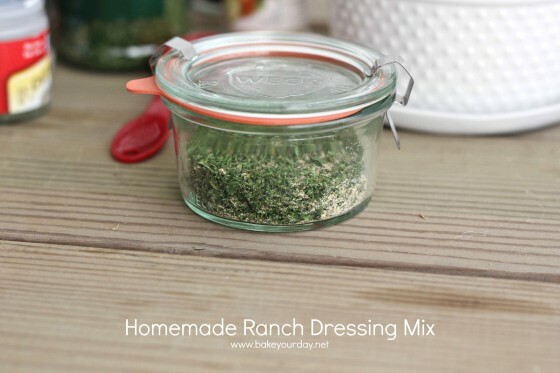 If you want ranch dressing, do not make this. Pingback: Low Calorie Ranch Dressing!